Mush-Have Forklift Drum Attachment, Grabber & Clamp for Plastic, Steel Drums - Be Certified Today! Forklift drum attachment helps to safely and easily transport drums using forklifts. It provides a simple and easy solution to picking, moving, transporting and stacking steel, plastic and fiber drums without any backbreaking effort. It reduces the physical strain of workers and increases their productivity. You don’t have to find the best one or read a thorough review of this product since they are built to last and every manufacturer has a reputable declaration. You just have to decipher what suits your requirement and application. They only differ in installation on how it is going to be fit with the forklift and in the application on where you are going to use it for. With this drum attachment, you don’t have to leave the seat of the forklift as it easily picks up and grips the steel drum because of its adjustable design. Though it is a single capacity which ideal if you only have a handful of drums but it can do the job in minimal time. This Vestil drum lifter/gripper DGS-A features arms that are easily moved to accommodate the 30 and 55-gallon drum. To use this unit, just simply load the unit over the top of the drum until the arms are at the desired lifting point on the drum, raise the forks and tilt it back, keep the drum as close to the floor while it is being carried by the forklift. To release the drum just tilt the forks forward, lower the arms to the ground and back away from the drum. With its easy to use and release features make it ideal for any type of light to moderate drum-transporting work. Just as you have read in the single version, this DGD-55-D has the same functionalities and use. This double-drum design can also lift 30 or 55-gallon drum with the maximum weight capacity of this unit is 2,000 lbs. It lifts and transports the drums similarly to the single version DGS-A. The only downside of the product is that you cannot use it to transport a single drum, you can only use it to move 2 drums at a time. Whether you need a single or double-arm drum gripper, these units from Vestil can highly improve handling of the drums in the workplace. Both of these models’ key-feature is the easy-release, minimizing the stress for the operator and improving the efficiency. Which unit of Vestil is best for you? Make the purchase now and improve the material handling of your workforce. It has specialized jaws that grip the rim of the steel, plastic or fiber drum weighing up to 1,500 lbs securely in place. 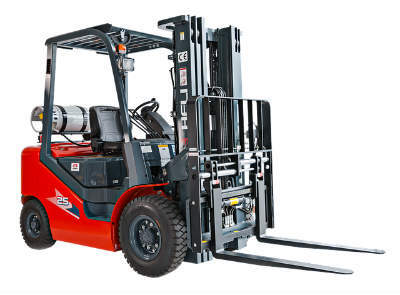 For its installation, drive the forklift, slowly inch forward to the fork pockets and secure the unit by attaching the chain and clamp to the mast of the truck. Maximum weight capacity is 1500 lbs. Product weight is 267 lbs. The key advantage of using this Morspeed single drum attachment is that you can convert it to handle 2 drums at the same time. Just loosen the drum handler and move it sideways, then add a second one on the same frame. Space the drum handler properly and secure them. You can now use it to transport 1 or 2 drums at a time. The only downside of this product is it would take a little time to correctly space the 2 drum handlers during converting. It the Morspeed 288-1 forklift drum attachment is what suits your application, what are you waiting for, get one for your workforce. What makes this product ideal for you is if you only have light drum-handling work. Just like any other drum attachments, it can easily be installed by sliding it on the forks, and secure it with its clamp and screw. It can handle both steel and plastic drums and the operator don’t need to get off the seat for the drum release. If your workplace doesn’t require that much drum handling and there’s only an occasional application, this product suits your need. It is cheaper; it won’t put a dent in your pocket. On the other hand, if your workplace has so much action moving drums, the Valley Craft manufacturer offers bigger variant compared to the previous one. This product is used for lifting and moving plastic, steel and fiber drums. This model of the Valey Craft makes the moving and stacking of drums efficient and fast thanks to its hydraulic jaw that quickly grabs and releases the container to the desired location. The lifting mechanism is hydraulic. Load capacity is 2,000 lbs. Unit weight is 205 lbs. The only downside of this attachment it doesn’t have dumping capability, but it is good for fast transporting and moving of drums that make this ideal if you have moderate to a heavy application. These attachments are built with either welded steel construction or professional-grade steel that makes tough and can last the test of time. They have the same purpose but differ on how they are going to be attached to the fork truck. They make the job just as easy as picking up candy. This attachment is a must-have for every workplace that handles the inventory of drums. Find one that best suits your need since every workplace has its own and unique set of requirements. We are sure that you can find a forklift drum attachment that suits your requirements.